Microsoft announced that its Exchange Server 2007 will lose all official support next year. Exchange Server 2007 will pass Microsoft's "extended support" milestone on April 11, 2017, per Microsoft's lifecycle support page. And that date also applies to its Service Pack 3 iteration. The loss of extended support means that the server won't receive updates and security patches from Microsoft. The servers continue to work, but potential vulnerabilities won't get patched. Microsoft sells "custom support" as the only exception to this policy, but it's a costly temporary option. Organizations running Exchange Server 2007 and wanting to use Microsoft's newest server product, Exchange Server 2016, released in October, will be confronted by the usual double-hop migration issue for older products beyond two generations. Exchange Server 2016 doesn't support coexistence with Exchange Server 2007 as part of the upgrade process. That means organizations sticking with the server product will have to move to Exchange Server 2010 or Exchange Server 2013 first before getting to Exchange Server 2016. Alternatively, there's migration to the Exchange Online service. It's called a "cutover migration" for organizations with less than 1,000 mailboxes, as described by Microsoft MVP Kelsey Epps. 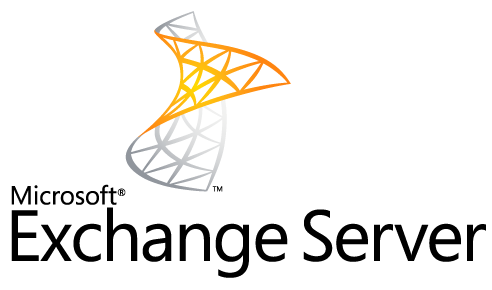 Microsoft also has an Exchange Server Deployment Assistant service that will build a custom checklist of steps to take for various Exchange moves. Arguably, Exchange Server 2016 isn't too different from Exchange Server 2013. Microsoft MVP Tony Redmond suggested that Exchange Server 2013 has about "90 percent of the value" of Exchange Server 2016. However, there are support milestones to consider. Exchange Server 2013 falls out of extended support on April 11, 2023, while that same event will happen for Exchange Server 2016 on October 14, 2025. "Customers wanting to maximize their on-premises server investment should strongly consider migrating to Exchange Server 2016 as Exchange Server 2013 is already three years into its own 10-year lifecycle," Microsoft's announcement suggested. Microsoft waxed nostalgic about Exchange Server 2007 in its announcement. Exchange Server 2007 marked a period in which Microsoft started tying the messaging server's processes to the .NET Framework. However, there's a caution along those lines as the latest .NET Framework 4.6.1 should not be used with Exchange Server, at least for now. Microsoft also introduced the PowerShell scripting tool with Exchange Server 2007. PowerShell is "the de facto management tool for modern Exchange Servers," according to Microsoft's announcement. Other Exchange Server 2007 nostalgia bits include some high-availability improvements, such as the introduction of Cluster Continuous Replication, Local Continuous Replication and Standby Continuous Replication, Microsoft indicated.